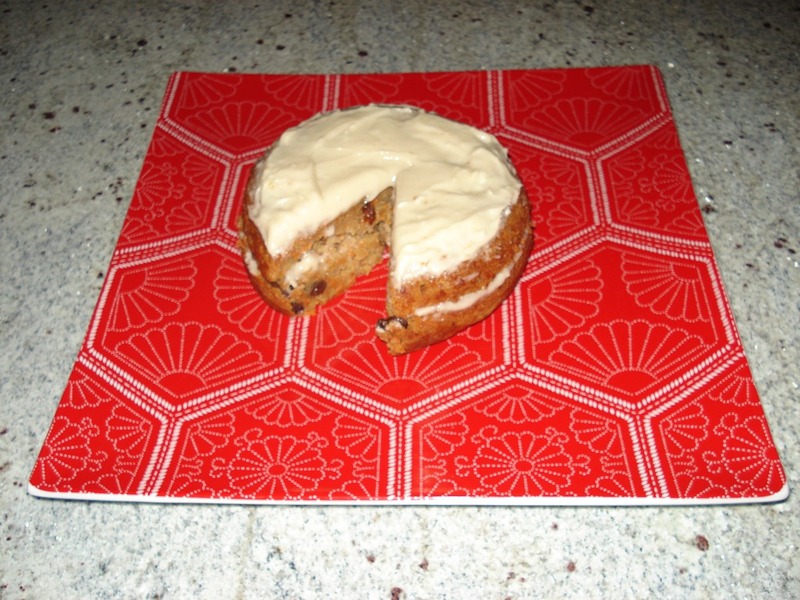 dairy free carrot cake | Can't Believe It's Allergy Free! Try this wonderfully light, tasty, colorful and nutritious cake. The orange juice adds a refreshing touch, and enhances the flavor of carrots. Frost it for a special touch—you can even make the frosting dairy free! In a bowl, combine flour, baking powder, baking soda, cinnamon powder, ground nutmeg. In a separate bowl, mix oil and sugars. Whisk in orange juice, prepared Egg Replacer (or substitute), and vanilla. Gently fold in flour, and mix well. Stir in carrots and raisins. Spoon batter evenly into prepared pan. Bake 45 – 50 minutes or until inserted toothpick comes out clean. Beat cream cheese, softened butter, and vanilla with a whisk, and gradually add sugar. Blend together and spread evenly on cake. Make an orange glaze using 1/2 cup confectioner’s sugar with 2 –3 Tablespoons orange juice. Spread evenly over cake.